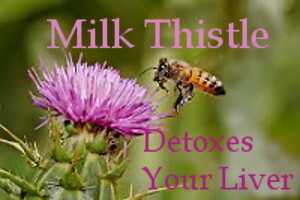 Milk Thistle detoxes your liver. Why detox your liver? And, what does that even mean? It means you don’t have to live with the residual side effects of toxins, including toxins that enter your body as a part of health related things like cyanocobalamin B12. Let me explain. 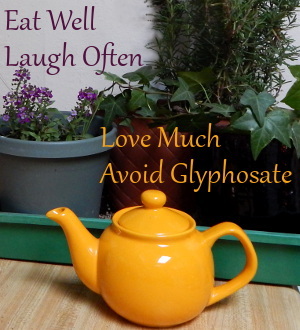 When I first used Milk Thistle I had no idea what to expect. For sure I hadn’t expected Milk Thistle to do anything about the brown spot in my field of vision ~ I’d had it for over a year. To my surprise, however, after I’d been using Milk Thistle for a few weeks the brown spot became smaller, then went away. 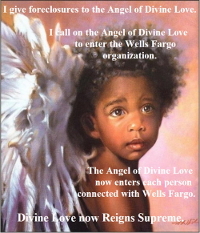 My feeling is, and I strongly believe, that the brown spot was caused by the cyano in B12 shots I had daily during the time I had tetanus, before I switched to Methylcobalamin lozenges. Methylcobalamin is preferable not just because it’s the form of vitamin B12 our bodies use, but also because the cyano in cyanocobalamin is cyanide. Yes, cyanide which in large doses will kill you. Potassium cyanide is used in the production of cyanocobalamin as a stabalizer, with the understanding that the amount is so small it can’t do any harm. You’ve probably heard of cirrhosis of the liver, and you likely associate it with the effects of drinking or excessive drinking. So, if Milk Thistle helps with cirrhosis of the liver, it may not seem as if it’s something you need. To my surprise, when I lived in England, I heard people say, quite commonly, “I’m feeling liverish.” Thereafter they would go for a constitutional, that’s a walk in England-English, and/or have tea. I thought no more about it than that it was a charming English colloquialism. I didn’t start thinking about my liver until after two unrelated experiences: First, I had a medication of which unpleasant side effects worried me, and second, I’d been living in hydrogen sulfide because the condo I bought was built over a full outdoor toilet pit. As an aside, you could have hydrogen sulfide in your home from a toilet that’s not seated properly on its wax ring or from a second bathroom you seldom use: if water in the trap dries out, sewer gas enters your home. Another thing that made me think about detoxing my liver was cyanocobalamin. I’d had B12 shots for nearly a decade and each shot has a small amount of cyanide, which is a toxin. Over time it adds up. Though, I had no idea the brown spot in my field of vision had anything to do with the B12 shots. I had first heard of Milk Thistle when I was a Realtor. 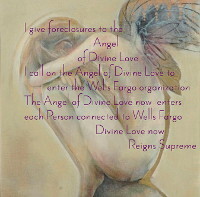 I had been showing homes to a couple when the man, who had his own stock trading firm, happened to tell me about it. I had been skeptical that it could be as good as he said. A decade later a woman wrote to me after visiting my site and reading about my experience with the outdoor toilet pit under my condo and about me having gotten tetanus. She too had a hydrogen sulfide experience followed by tetanus. 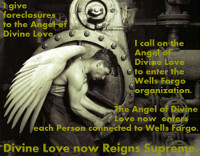 A liver cleanse had made a huge difference, she said, adding that I should try it. I looked into different liver cleanse products and noticed they all contained Milk Thistle. So, I ordered Milk Thistle alone. Excited to try it, as you most likely you will be if you order it, I followed the directions, expecting to feel better. But within a day I was not feeling at all well. I was having a hard time thinking. I felt as if my mind had bogged down ~ it was almost exactly the way I’d felt when I was living in hydrogen sulfide. The most logical explanation was that Milk Thistle had dislodged toxins from my liver, setting them free in my body and making me feel like I had felt when the toxins were first absorbed into my body. 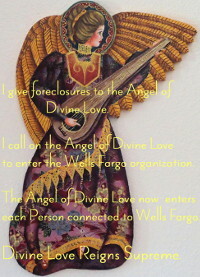 I could see my next step was going to have to be flushing the toxins out by drinking water and other liquids like tea. Similarly, when I sent Milk Thistle and a variety of other supplements to my son in London, he wrote back that he didn’t like the vitamins at all. He said that he had expected to feel better when he took them, but instead began feeling much worse. That said, I feel much better since using Milk Thistle and removing toxins. I just had to give it time. My mind is clearer, except when on-going stress makes a mess of my thinking by way of overload. Milk Thistle (Silybum marianum Gaertn), is a member of the family Asteraceae. It’s also known as the Marian, St. Mary’s, and Our Lady’s thistle. 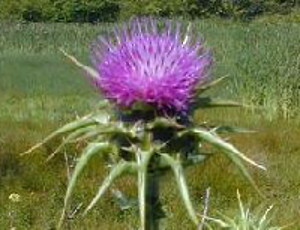 Milk Thistle should not be confused with the blessed or holy thistle (Cnicus benedictus), an entirely different species. Milk Thistle, a tall herb with prickly leaves and a milky sap, is native to the Mediterranean region of Europe. It’s among the most ancient of all known herbal medicines, having been used for centuries as a folk remedy for liver complaints. 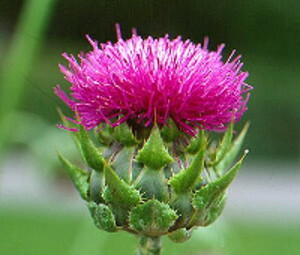 Recent research has demonstrated that extracts of milk thistle do indeed protect against liver toxins. Research has uncovered a host of antihepatotoxic (liver protectant) compounds commonly referred to as silymarin, in Milk Thistle. Animal studies have shown that silymarin exerts a liver protective effect against a variety of toxins, including the phallo toxins of the deadly Amanita phalloides mushroom. Milk thistle (Silybum marianum) has been used medicinally for over 2000 years, most commonly for the treatment of liver and gallbladder disorders. 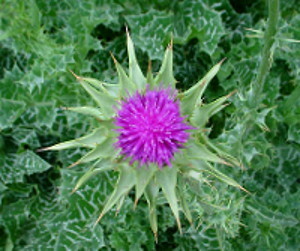 A flavonoid complex called silymarin can be extracted from the seeds of milk thistle, and is believed to be the biologically active component. 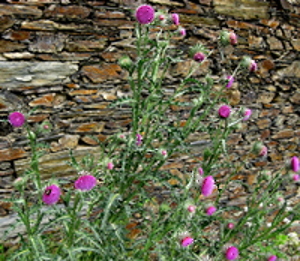 The terms “milk thistle” and “silymarin”are often used interchangeably. Milk thistle products are popular in Europe and the United States for various types of liver disease. Milk thistle has been used as a cytoprotectant for the treatment of liver disease, for the treatment and prevention of cancer, and as a supportive treatment of Amanita phalloides poisoning. . . In an oral form standardized to contain 70 to 80 percent silymarin, milk thistle appears to be safe for up to 41 months of use. Significant drug reactions have not been reported. (from Am Fam Physician 2005;72:1285-8. Milk Thistle detoxes your liver. Why detox your liver? And, what does that even mean? 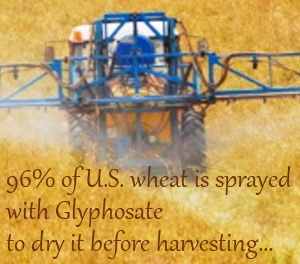 It means you don't have to live with the residual side effects of toxins. HI Karen, I was intrigued by your website – the only other place I have seen low B12 listed as a cause of the dripped wax ridges on nails is a book. hope you are still well.